Sitting in front of my laptop, I am searching for new potential articles that could enhance my research. However, I feel tired, I need a break yet I want it to be a productive one. Therefore, writing my first ever blog seems to be a good idea. So, about me…my name is Monica and I am a Romanian mature Postgraduate student doing my PhD in Psychology here at the University of Chichester. 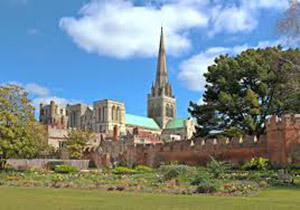 I moved to Chichester at the end of September 2012 after I had lived, studied and worked in London for five years. I guess I always wanted to prove to myself that I would be able to achieve the highest level possible in terms of education. As with many Full Bursary PhDs, most of the universities had pre-established research projects. I was looking for a PhD which would allow me to develop my own research idea. The Department of Psychology and Counselling at the University of Chichester offered me that chance. I couldn’t have asked for better staff and colleagues to work with! 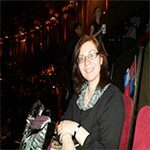 Apart from doing research and assisting with the teaching of different Psychology modules, I love travelling, reading, dancing and watching figure skating competitions! I am looking forward to blogging about different professional and personal activities! Monica.